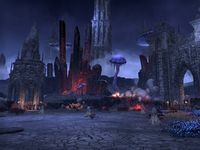 Untold thousands have tested their mettle against Maelstrom Arena―and failed. 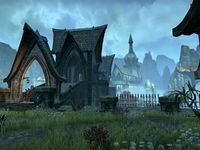 Maelstrom Arena is an otherworldly solo arena accessed from Wrothgar. Created by the Demiprince Fa-Nuit-Hen, it serves as a solo trial where one must defeat waves of enemies and bosses in nine different arenas. Fa-Nuit-Hen and his Daedric subordinates will be spectating the games from the sidelines, and his assistant Tutor Riparius functions as a merchant between arenas. Each wave will have new sigils of defense, haste, healing, and power spawn, which can be used as temporary buffs. Once an arena is completed, one will be rewarded with a chest containing rewards and the option of travelling to the next arena. New arenas progressively become more difficult, and completing the final one, the Theater of Despair, will reward you with (?). Maelstrom Arena Objective: Survive the Maelstrom Arena. 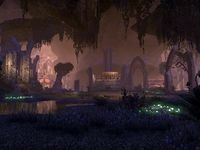 Maelstrom Arena: Compete in an otherworldly Daedric arena. The final boss of this arena is a Golden Saint named Maxus the Many. The boss of this arena is a trio of Dwarven Centurions, each named Centurion Champion. The boss of this round is the leader of the lamia, aptly named the Lamia Queen. Achelir, the boss of wave 1. He is a Redguard scavenger who uses flame magic. Aihrima, the boss of wave 2. She is a Khajiit scavenger who uses shock magic. Kothheid, the boss of wave 3. He is a Nord scavenger who uses melee and flame magic. The final boss is a giant Dwarven Spider named The Control Guardian. Venomous Hoarvors, which have to be killed near the obelisks to dissolve any webs covering them. Spiderkith Captain, the boss of wave 3. Xivilai Toxicoli, the boss of wave 4. 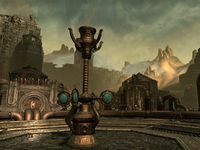 The final boss is a Spider Daedra named Champion of Atrocity. 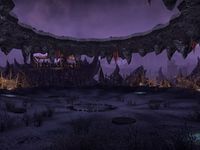 The boss of this arena is the Argonian Behemoth. Flame Knight, a Xivilai which is the boss of wave 4. The final boss is a Dremora named Valkyn Tephra. Xivilai Ravager, the boss of wave 3. Ash Titan, a Daedric Titan which is the boss of wave 5. 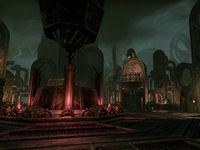 The final boss of the arena is a Dremora named Voriak Solkyn. 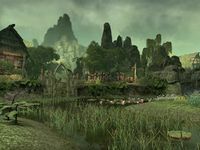 The entrance is a small abandoned Orcish fort, complete with a set of stables and sealed well on the outside, and a number of hallways carved inside the mountain, past the gate. 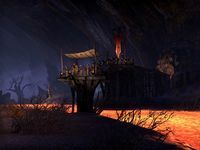 The lower hallways are made up of jail cells, with a hole in the wall leading to a small cave containing the Daedric portal to the Maelstrom Arena. 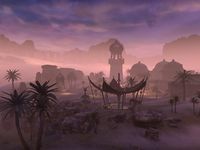 The main realm of the arena is a small Redguard-style manor in an Alik'r-like desert, surrounded by a circular wall of large rocks. This page was last modified on 14 February 2019, at 05:41.